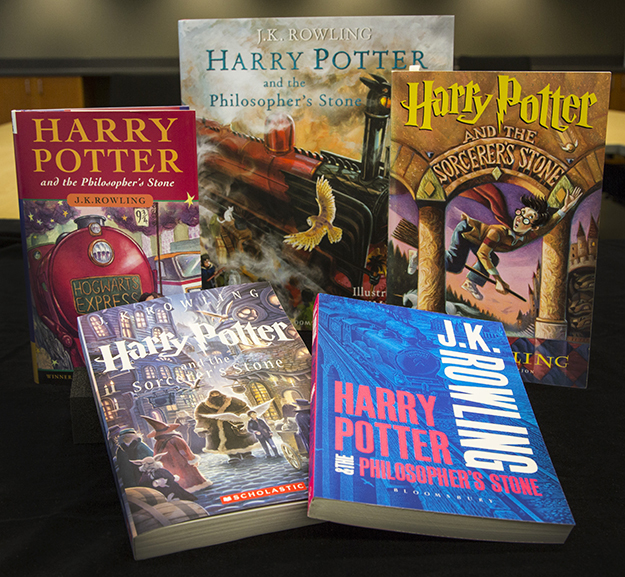 Experience the Harry Potter Collection in person. Visit Rare Books and Special Collections at UBC Library for a hands on tour. 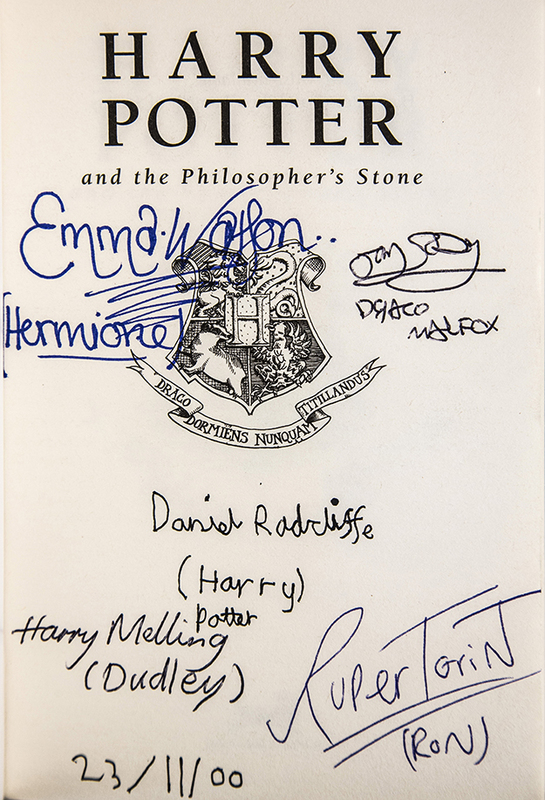 We’ll introduce you to our space and unique material including special items from our growing Harry Potter collection. Tours are free and open to the public. No reservations required. Location: Rare Books and Special Collections is on the first floor of UBC’s Irving K. Barber Learning Centre. 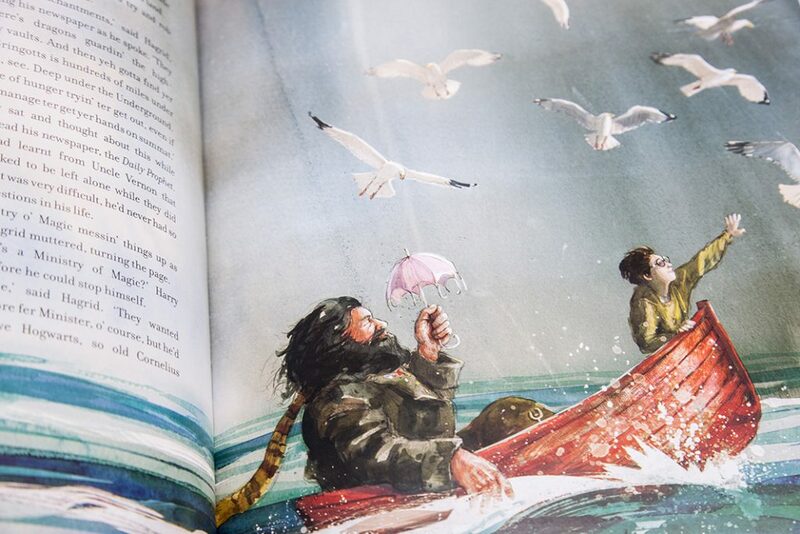 Vancouver shares some important and surprising connections with the Harry Potter series: did you know that Kidsbooks in Vancouver was the first bookstore in all of Canada to carry Harry Potter and the Philosopher’s Stone? Also, Raincoast Books in Vancouver was the first Canadian book publisher to publish editions of the Harry Potter series until 2010. 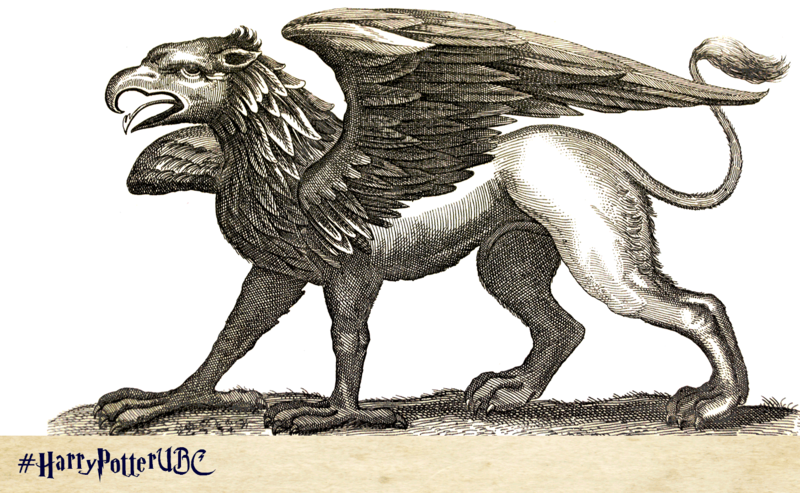 UBC Library is collecting the Harry Potter books to ensure that scarce first or special editions of these works can be properly cared for and made accessible to the community for generations to come, while sharing the story of the impact that the series had on the people, the business, and the cultural landscape of Vancouver. 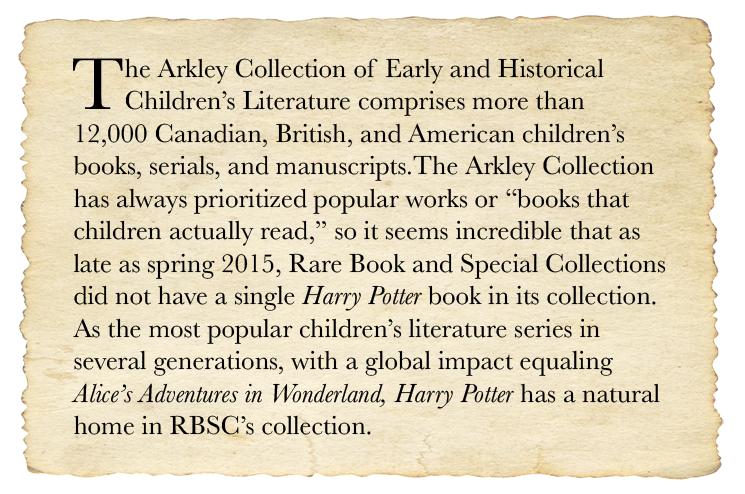 That’s why Rare Books and Special Collections is working to acquire complete sets of the U.S., U.K., and Canadian first editions of the Harry Potter series. Please note the exhibitions and events are in no way affiliated with the Harry Potter copyright owners including J.K Rowling, Warner Brothers Entertainment, Universal Studios and Scholastic.